You have thought so much about poverty – it is the thing you have feared all your life, the thing you knew would happen happen to you sooner or later; and it is all so utterly and prosaically different. You thought it would be quite simple; it is extraordinarily complicated. You thought it would be terrible, it is merely squalid and boring. I don’t often write about where I am from, mostly because it depresses me, and the majority of my life has been spent in failed attempts to get away. Recently however a renewed interest in the history of the town has made me appreciate it with new eyes, even if hasn’t contributed anything in making me want to stay. 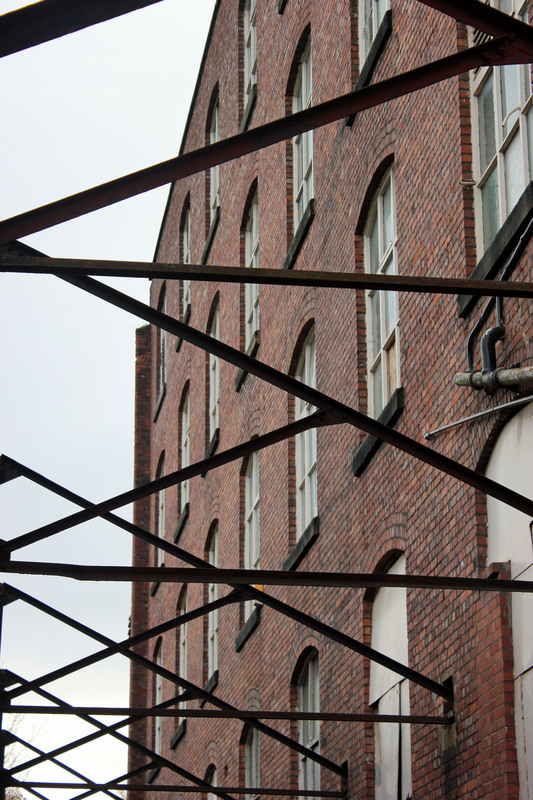 Stockport is an old industrial town on the outskirts of Manchester which was formerly a centre of manufacture. 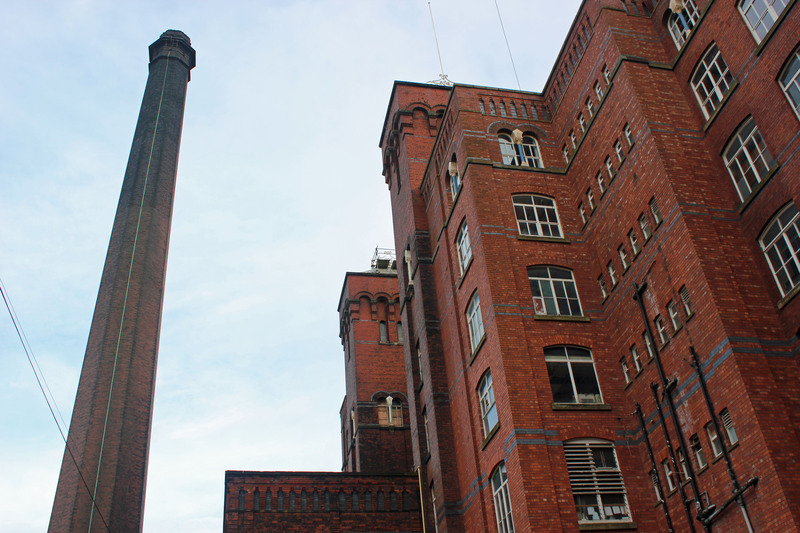 Although recorded as being in existence as early as 1170, Stockport is really a baby of the industrial revolution, the traces of which still form a large part of the landscape of the town today. Terraced houses. Cobblestones. Mills. Chimneys. Rats. Soot blackened red brick. Canals. Poverty. Rain. 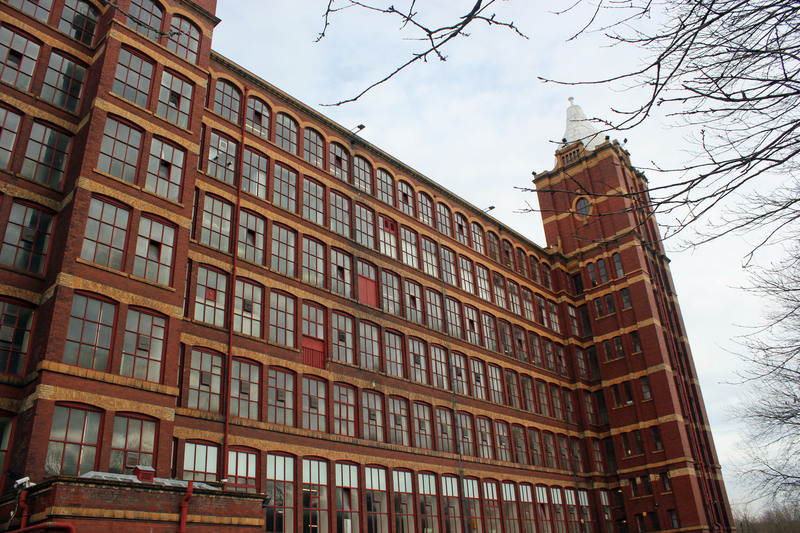 As the industrial revolution gathered momentum in the north of England, but especially in Manchester throughout the 18th and 19th centuries, Stockport’s mills sprang up in earnest to take advantage of the roaring international trade in cotton. Impoverished agricultural labourers and hand weavers who had been put of business by new machines flocked to towns to work in the factories, producing a quantity and quality and woven cotton that had not been possible before. So far so good, I learnt all this in school without any particular interest . . . but then I picked up a copy of ‘The condition of the working class in England in 1844’ by Friedrich Engels, and suddenly the industrial revolution has come back to haunt me. 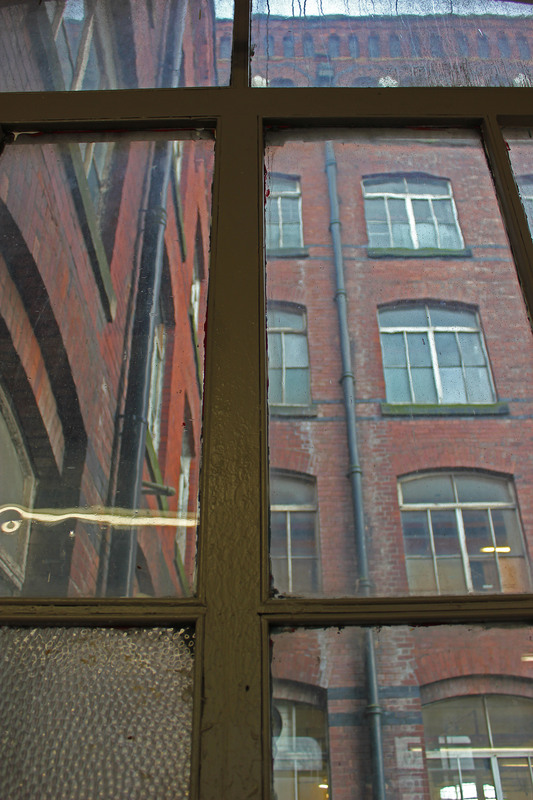 Engels was born in Germany, and at the age of 22 in 1842 his parents sent him to Manchester to work in the ‘Ermen and Engels Victoria Mill’ in the hopes that it would encourage him to reconsider a career in business, as his father had intended. Far from this, Engels began an in depth study of Manchester’s mills and slums, carefully considering the horrendous conditions of the working class and their station in society. The outcome of his work was a call to revolution; ‘The condition of the working class in England in 1844’ (which also prominently mentions Scotland, Wales, and Ireland). It was a detailed and disparaging study, which surely would have scandalised the mill owning bourgeoisie had it been published in English (which didn’t happen until 1887, when a number of improvements had necessarily already been made). Stockport in my opinion is still ‘excessively repellent’, and the recession has not been kind to the town centre; now containing a familiar financial downturn collection of payday loan shops, betting shops, £1 shops, charity shops, and of course the pre-requisite large number of empty premises. The mills these days (where they are still standing) have been divided into units of furniture show rooms, museums, cafes etc. and are in various states of disrepair. 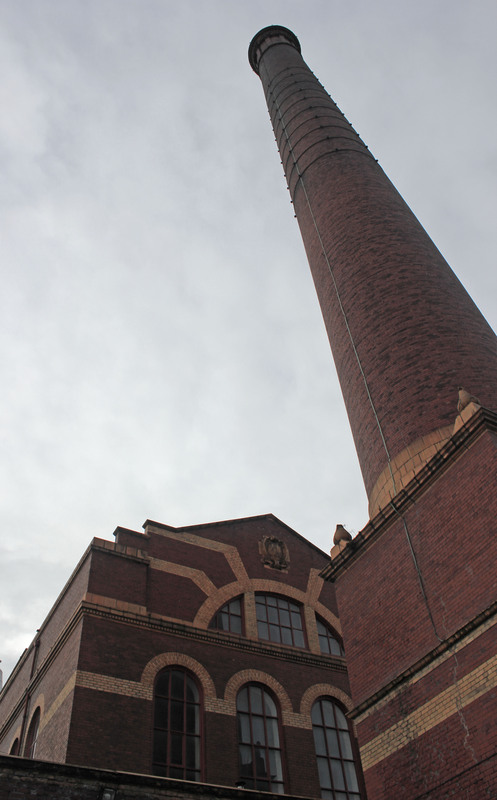 Several are now listed buildings, but the mills in general are so numerous and just so big that it would be extremely difficult, if not impossible to maintain them all. Some attempt has been made to convert them into luxury apartments, but I’m inclined to think they would probably make draughty homes, and wandering around the ones I visited today I would guess it probably takes a lot of work to convert them into something liveable. The cotton trade relied on slave labour on both sides of the Atlantic, from the slaves in America who picked it to the mill workers who wove it. Engels suggests that the mill workers, ‘are worse slaves than the negroes in America, for they are more sharply watched, and yet it is demanded of them that they shall live like human beings, and shall think like free men . . . the bourgeoisie [exploit] the workers in good times and let them starve in bad ones’. While I wouldn’t like to make a comparison between the slaves and the mill ‘hands’, it is a cruel type of freedom that offers a choice between starvation in the streets or a short lifetime of toil, misery and boredom in the mills for barely subsistence wages. What is obvious is that the success of both England and America, and perhaps every nation that has undergone/is undergoing industrialisation owes much of its development to human exploitation, ‘the destruction of their health, the social, physical, and mental decay of whole generations’. This is particularly poignant when considering countries such as Bangladesh which have made headlines in the past year over working conditions, pay, and even the safety of the buildings. 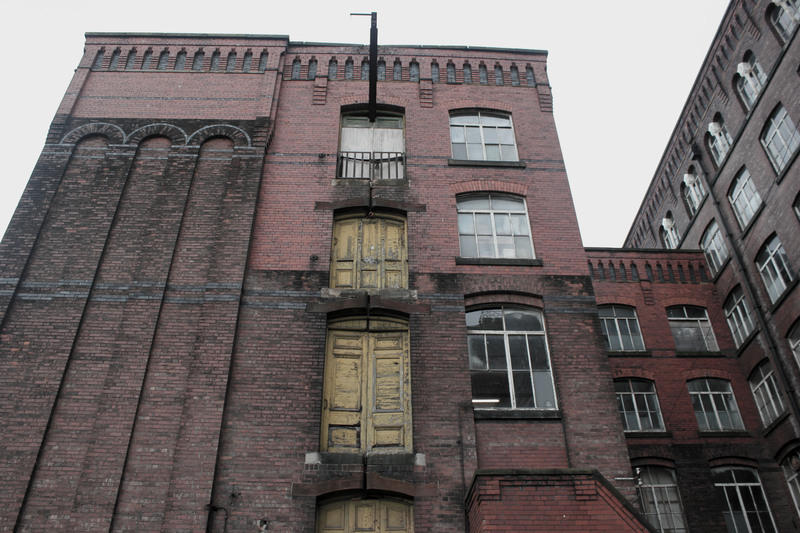 Engels noted that Manchester had been constructed in such a way that the bourgeoisie could go about their business without ever having to enter a working class slum, and the same might be said of the west today. We outsource manufacture to developing countries to exploit cheap labour, keeping the factories quietly tucked away in corners of the world we are unlikely to go to – saving us from being confronted by terrible conditions that capitalism has created. The more I read of Engels, the more I was able to apply his descriptions directly to what I see happening in front of me in England today, and I have been reflecting on this more acutely since watching the controversial new Channel 4 series, ‘Benefits Street’. This program, which documents the lives of benefit claimants and low paid workers on a street in Birmingham has clear parallels with many of the things that Engels discusses in ‘conditions of the working class’. Although the clear difference is the government issued benefits, which outside of workhouse provision for the most desperate, did not exist in 1844. The concerns of English workers at the time were much as they are now, that the immigrants would bring unwanted competition by agreeing to work for less money and in worse conditions, and so would undercut the natives and bring standards of living down; not to mention introducing an element of moral decay. Descriptions of the poor treatment of Irish workers was slightly painful for me to read, given that this almost certainly would have applied to my own great grandfather (from a family of Irish immigrants working in the mills in the late 19th century). Those who have seen ‘Benefits Street’ might recognise a few of the things described above; namely rubbish supposedly scattered by immigrants, overcrowding, and alcohol consumption as a means of escape. With so much against the workers of the industrial revolution, I wonder how the members of the upper class could reasonably have expected the working class to better themselves? It is easy to casually suggest (especially from a height) that if people work hard and ‘get on’ then they can clamber their way out of poverty, but I believe that unless you are made of exceptionally stoic and inexhaustible stuff, as well as having a little luck – then it is nearly impossible now, just as it was then. Engels regrets the decline of social mobility as he sees it, ‘The disappearance of the lower middle class deprived the working man of all possibility of rising into the middle-class himself’ and this well applies to England today. 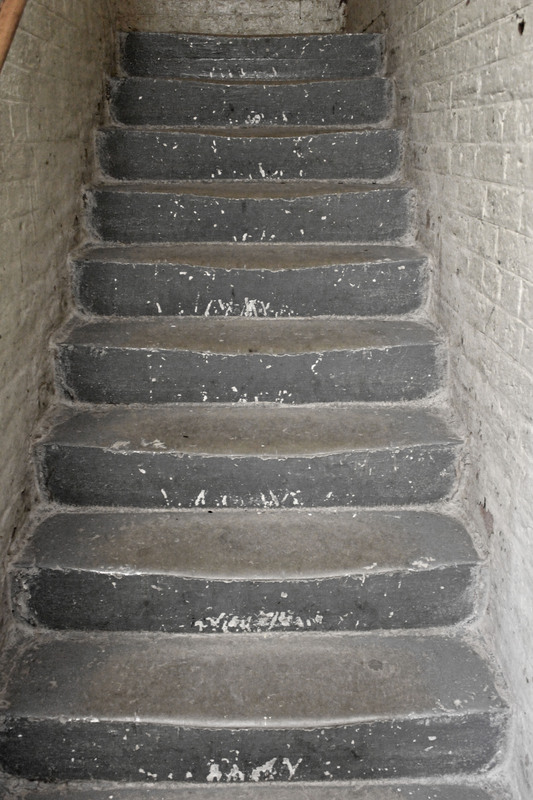 Steps worn down by the clogs of the workers. Although I did go into the mills the interiors are very plain and I didn’t find much of interest to photograph on this trip. These were utilitarian buildings so nothing has been spent on interior decoration – the corridors and rooms are all plain brick as seen here. I haven’t had the time to talk about many other things that Engels mentions; the health issues suffered by workers, child labour, widespread illiteracy, industrial action etc. However, Engels was outraged by all that he saw, damning ‘the property holding class, when it is so blinded by its momentary profit that it no longer has eyes for the most conspicuous signs of the times’. I think this is a sentiment well worth remembering. Photographs my own. If you’re interested in ‘The condition of the working class in England in 1844’ then it is can be downloaded for free off the amazon, go check it out 🙂 And if you’re interested in unearthing a bit more of Stockport’s industrial past, than I highly recommend taking a look at some off road urban exploration of the town here. This really reminded me of when I was younger and the frequent weekend visits to Stockport with my Mum so she could go shopping. Stockport like many of the suburban towns within the Greater Manchester area are prime examples of how the recession has sucked the life out of much of the North West, as if they weren’t already struggling. A few days ago, I found myself listening to some music from my teenage years and childhood and found myself feeling happy as if I was transported back to a ‘more prosperous time’. However, that’s the inherent problem with nostalgia, in that it is often positively selective in the picture it paints. Whilst by todays standards, the late 1990s and early-mid 2000s certainly seem better, I found myself asking the question, if the situation in this country is ever going to improve, when will that be? At that point I found myself realising why committing time to moving/living abroad and somewhere more economically prosperous is a far better use of my time than trying to facilitate a life in this country which by the day is becoming increasingly difficult. Moving abroad is a great idea, but gets a whole lot more difficult when you start to consider where and how. I lived in Dublin for four and half years when it was badly hit by the financial crisis – it just goes to show that the grass isn’t always greener. Having said that, it’s definitely my intention to keep trying to get away – good luck!